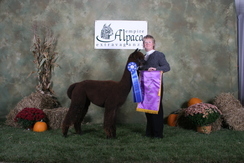 1x Champ, Reserve Champion--Highest Fleece Weight! 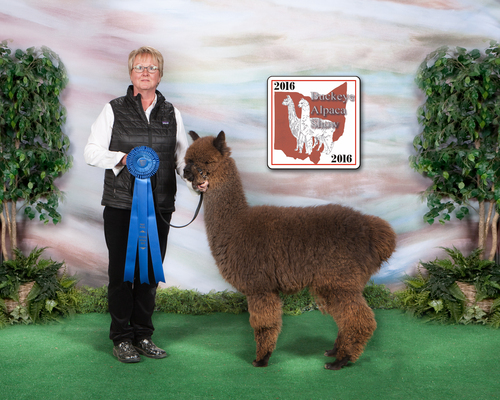 2x Champ, Gorgeous female--beautiful offspring!!! 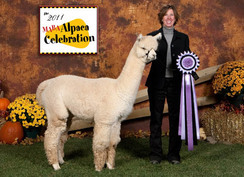 This amazing 2x Halter Champion continued to win fleece shows at 5 years of age. 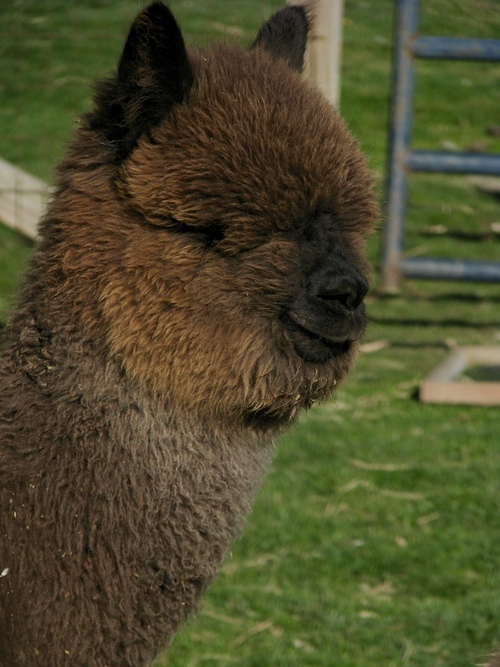 Chantica's beautiful fleece is very very dense, with a high-frequency crimp style and a 16.9 AFD. Her offspring are just as beautiful as she is and all females until 2013. Not to mention she is the granddam of our 18X banner winning 5C's Captain Midnight. OHHHHHH Carrington. This beautiful male is as solid as they come. 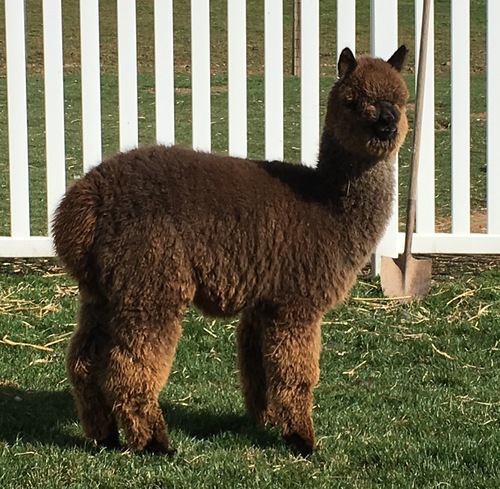 Great phenotype, solid bone, amazingly fine fleece and fantastic genetics. Carrington is another outstanding offspring of our champion Chantica and his sire is a champion too. We really hate to part with this boy but we really have his genetics covered in our herd. 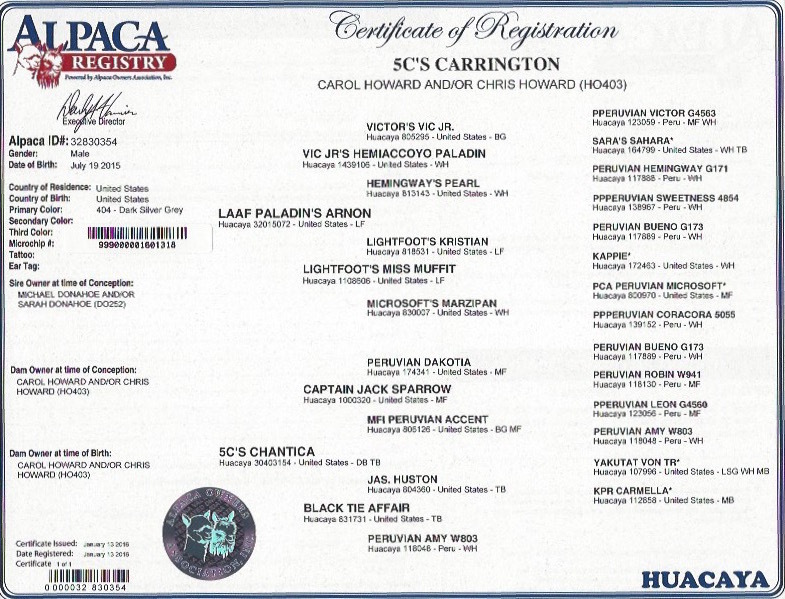 We offer Carrington for sale with retained breedings.